NCR offers concrete acid stains, water based and acetone dye systems. 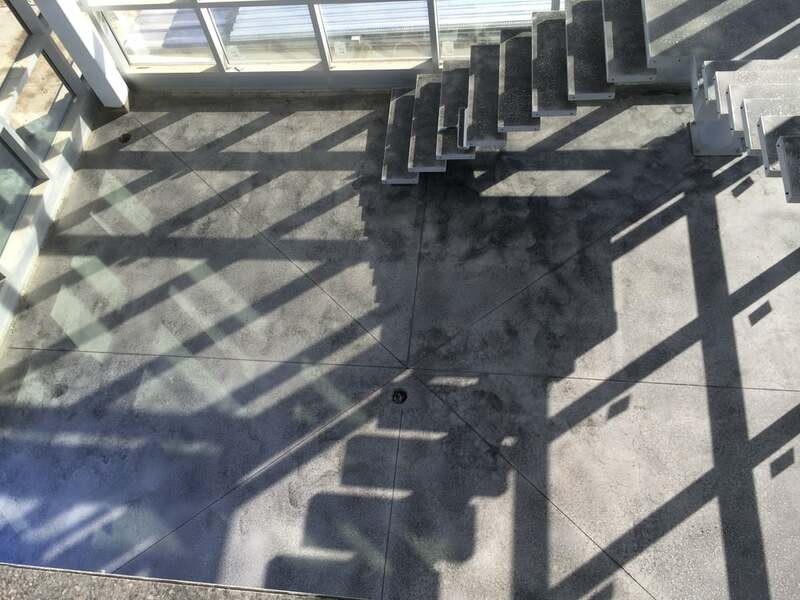 Acid staining creates a mottled, rustic effect on new or existing concrete surfaces. The rustic, aged-look colouring process emulates the look of weathered stone, slate & marble. The reaction of the acid and the minerals found in concrete result in a finish so unique, that it cannot be duplicated by other colouring methods. Dye systems appear to be a more uniformed , solid appearance yet remain transparent. 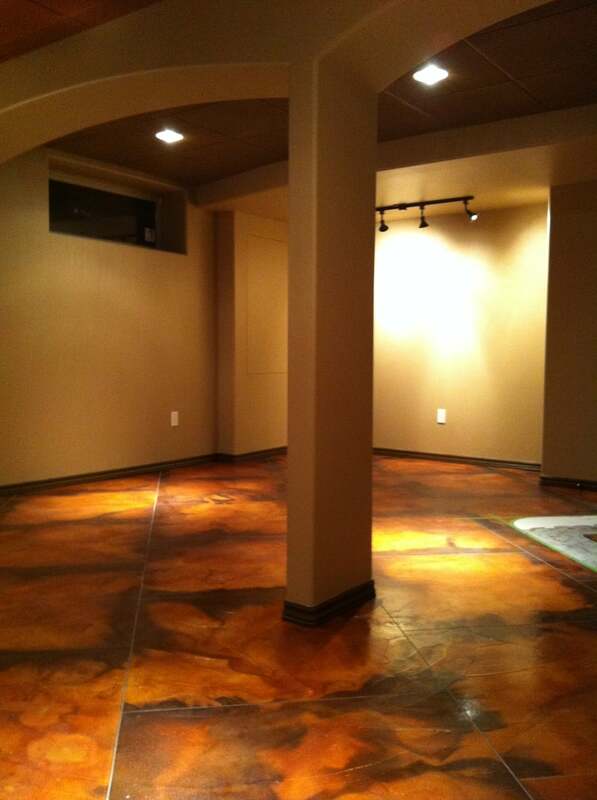 Logo’s can also be incorporated in a finished concrete floor and are very popular in many commercial applications. 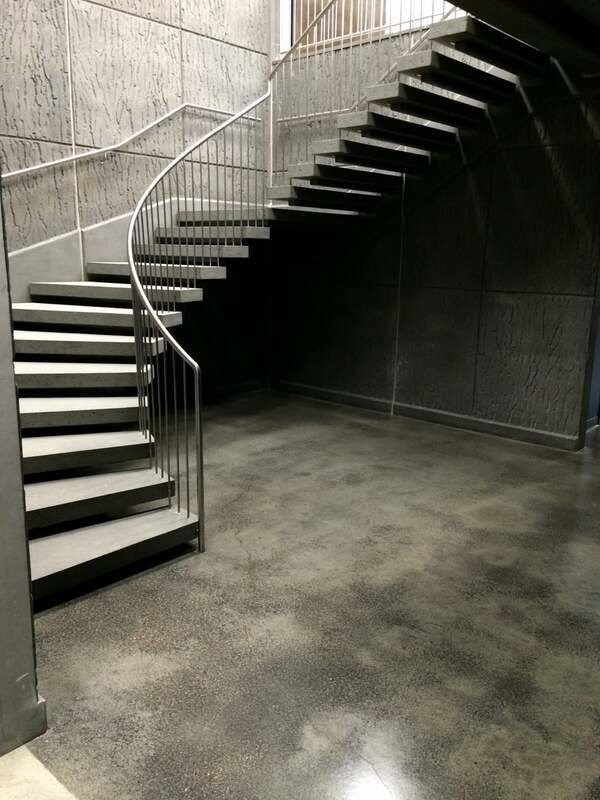 Call NCR today to discuss your Concrete Flooring options! 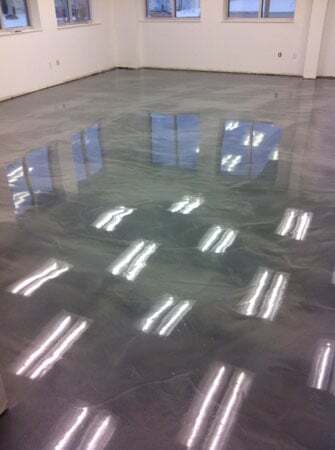 Metallic Fusion Coating is an extremely unique pigment that is added to our 100% Solids Epoxy, creating a mottled, semi-transparent surface, similar to that of Acid Stains. 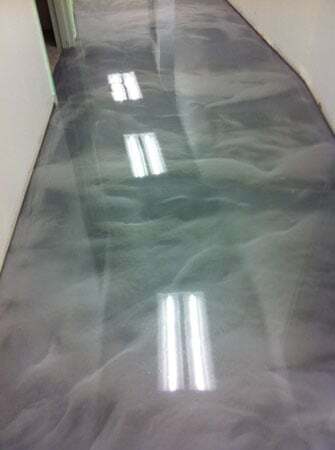 This Decorative Floor System can be manipulated with various application techniques to create distinctive one of a kind floors.